Hi! I am Teacher Malu. 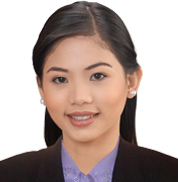 I am a graduate of Bachelor of Science in Psychology from Lyceum of the Philippines University. During my spare time, I like to watch English movies and TV series. So, do you wanna have an enjoyable class? What are you waiting for? Come and join my class and we will make learning English fun and exciting!